The photographer says: This view has always been interesting to me and I have photographed it before. I like the contrast of the historic building on the right as it meets the modern building in the center of the photo. Part of what makes a city beautiful and vibrant is this mix of old and new. A perfect example of an HDR photo. 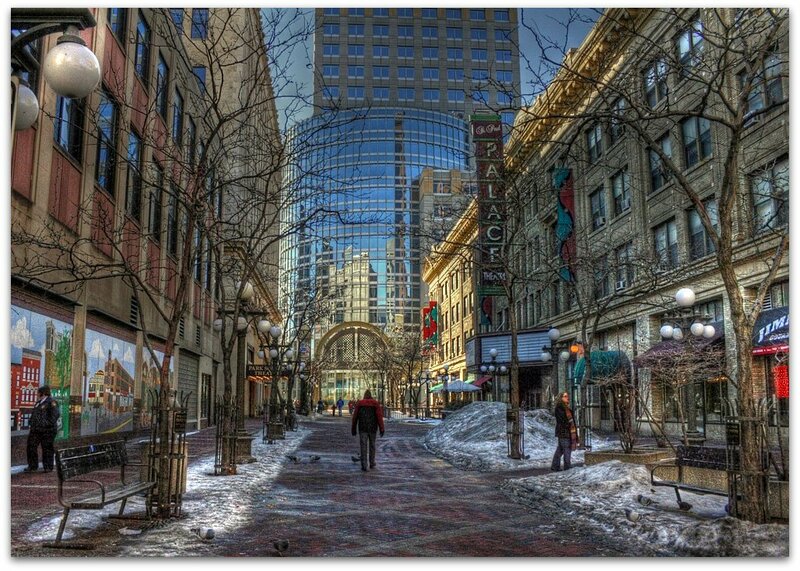 Taken in downtown St. Paul, Minnesota.